Social media, and citizen journalists, again demonstrate their importance to the system. After a social media post that depicted an officer throwing a woman to the ground, the Cape Coral Police Department has initiated an internal review, and put the officer involved on paid leave. It should be noted, the woman is clearly committing a battery by pushing and striking the man before the cop arrives, and would have also been subject to arrest for disorderly conduct.The issue is whether he handled the arrest appropriately. Kudos to the the Cape Coral PD for acting swiftly to address what will be a contentious issue. Sarah Graham has been accused of no crime, and the Naples News found no record of criminal history. She was stopped by a deputy-in-training and he asked to search her. When she responded that she knew her rights and declined to search, the deputy didn’t take it very well. She alleges that she started to leave and he proceeded to Tase her until she collapsed to the ground, and that he tased her again while she lay on the ground convulsing. The deputy, Brian Gardner, was subsequently reprimanded for improper use of non-deadly force, and reassigned from road training to the corrections department. First, Ms. Graham is absolutely correct. She has a right to decline being searched. While a deputy may engage in a consensual encounter if he has no reasonable suspicion of a crime going on, the key word is consensual. He can only talk to someone as long as they consent to continue the encounter. They have a right to walk away, and he has a duty to let them go. Cops frequently don’t understand this. The report indicates he was reprimanded for his use of force. Secondly, he should also have been reprimanded for the illegal detention that he attempted. Ms. Graham has a strong suit against the department and Mr. Gardner, though I don’t know if her injuries warrant the maximum, which she is requesting. A friend who was formerly in law enforcement feels that tasers can be the worst tool available to police. Where high restraint must be used before an officer is justified in using a firearm (deadly force), a much lower bar can be used to argue justification for a taser. That leads to officers overusing the taser, and freqently, as there are often no consequences. I applaud Ms. Graham for seeking to impose consequences for this dereliction of duty. This lawsuit comes right on the heels of another lawsuit that was just settled by LCSO. They paid a “substantial” unnamed settlement to the family of Nicholas Christie, who was pepper sprayed to death while restrained to a chair in the Lee County Jail. Sheriff Mike Scott indicated that money will be paid by insurance. Both these cases represent substantial legal expenses that find their was from our tax dollars, either through legal fees, insurance premiums, or costly payouts. Both represent failures in training and restraint by the deputies sworn to protect us. 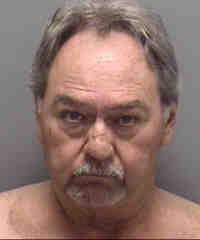 Also see the story from a few days ago about the Collier deputy who punched a guy after he surrendered. 22-year old Mateo Falconi gave it up. 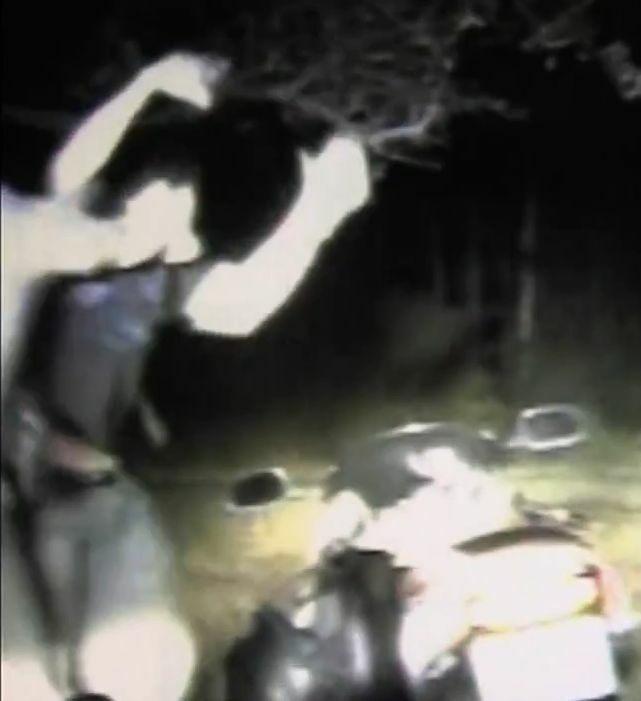 After leading police on an extremely high-speed chase for six miles, Falconi came to a dead-end and decided to surrender, as evidenced by the fact that he stopped, got off his bike, and raised his hands. At that point, Deputy Robert Lewis jumped out of his patrol car, gun drawn, ran up to Falconi, and took him down with a vicious punch with his closed right fist. Lewis jumped on Falconi and roughed him up pretty good while trying to subdue him. Deputy Lewis says Falconi refused to give up his hands, although Falconi jumped on him, and he and another deputy punched him repeatedly before tasering him into submission. At no point does Falconi threaten or otherwise offer to do violence. Watch the story, and the full video on NBC-2.com. Now, Falconi obviously is in a lot of trouble for high-speed fleeing, which he probably did because he was carrying a big bag of weed in his backpack. He earned himself a couple of felony charges for those offenses. However, the behavior of the cop certainly bears the hallmarks of excessiveness. Nobody is going to begrudge law enforcement officers the right to use force to defend themselves, but I have doubts over the propriety of force when a suspect offers himself in non-violent surrender. This is bad policy for law enforcement, as it discourages suspects from peacefully surrendering. If you’re going to give up and put your hands up, but still get beat… why would anyone put their hands up? What else could Falconi have done to give himself up? 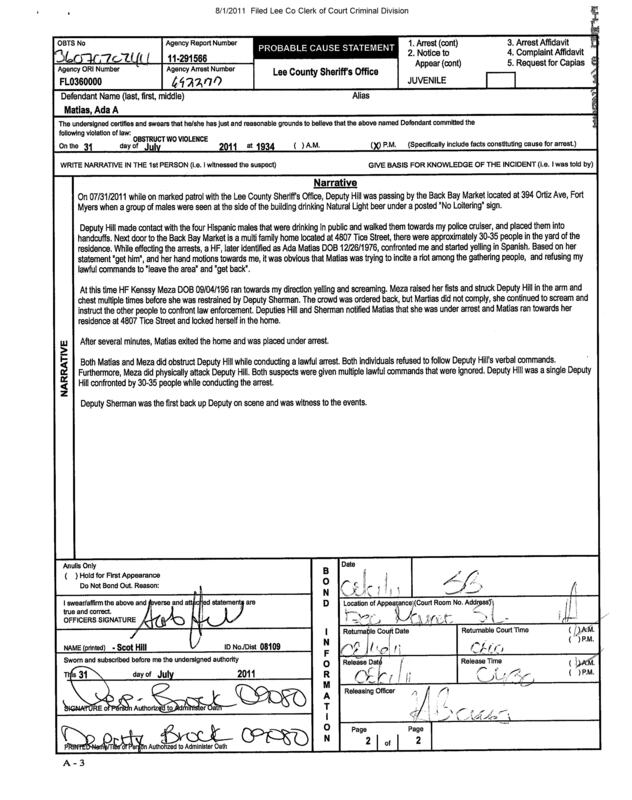 NBC-2 got their hands on the police report, which is worth a read. It’s a textbook example of how a cop changes a story to justify what he did. First, he makes reference to Falconi possibly fleeing on foot. That’s misleading because Falconi immediately turned to face the officer and raised his arms. He could not have done that any better, because if he had stayed on the bike, there was the risk that he would have restarted it. The officer claims he then instructed Falconi to get on the ground. The video shows that he first tells Falconi to put his hands up. Falconi can’t win! He did exactly what the cop told him to do. The video shows that Lewis actually did tell him to get on the ground, but never gave him a chance to do it. Lewis claims to have struck Falconi in the chest, pushing him to the ground, but it sure looks like he straight cracks Falconi in the jaw. It is clear on the video that Falconi had completely given himself up, both before being taken down, then again on the ground when Lewis had the gun to his head. The cops created the situation where Falconi didn’t cooperate, or was unable to cooperate, by their actions after he surrender. This is a textbook example of what not to do… just terrible, terrible police work. Falconi is suing the Collier County Sheriff’s Department for excessive force. He is still facing the possiblity of many years in prison for high-speed fleeing, and felony possession of marijuana. He may not end up being the only person in this incident facing charges. Fascinating story from Fox 4’s Mike Mason about an excessive force allegation. So many cases like this are he said/she said type deals, and the cops frequently get the benefit of the doubt. This one is on video, and the video seems to contradict the deputy’s statement that she “struck Deputy Hill in the arm and chest multiple times.” Apparently, their attorney is pushing for the charges to get dropped. The problem with that is, the video clearly shows the daughter taking a swing at the deputy. You cannot swing at law enforcement, even if you miss it is still a crime. It looks like both parties are in the wrong, and both should be held accountable. A check at the Lee Clerk indicates that the mother’s charge for obstruction was dropped. I don’t know the father’s name to follow-up on that case. I do wonder why the deputy was bothering to arrest those gentlemen for their open containers, when he could’ve just issued citations; especially if they were staying at the house next door.